[S328] Don Huls, "Billy the Bear", Pg 36. [S330] Probate L J F Iaeger unknown file number. [S757] Electronic, unknown repository address, HeritageQuest.com, Chadron Precinct, ED 80, sht 14B. [S758] Electronic, unknown repository address, HeritageQuest.com, Chadron, ED 92, Sht 13B, pg 163. [S759] Electronic, unknown repository address, Ancestry.com, Chadron, ED 99, sht 13B, 250 B. [S760] Electronic, unknown repository address, Ancestry.com, Chadron, ED 23-4, pg 31, sht 3A. [S761] Letter, Virginia Nickerson Wetherby to Bill Blandin, 13 Nov 1981, 19 Nov 1981. [S42] Unknown short newspaper title, L. J. F. Iaeger, Chadron, NE Paper. [S264] CA Death Records, online http://userdb.rootsweb.com/ca/death/search.cgi, Louis John Iaeger. [S42] Unknown short newspaper title, Richard Gilespie Iaeger, 5 Aug 1963. [S265] Unknown author, Iaeger Diary. [S34] Interview, unknown informant, Loius Iaeger Jr. letter to George Iaeger. [S266] Iaeger at WorldConnect, online http://worldconnect.rootsweb.comcgi-bin/, Jan Hornick's data. [S267] Marcia Simmons, "E-Mail Marcia Simmons," e-mail to Bill Blandin, 23 Oct 2000, 23 Oct 2000. [S132] Unknown name of person Gravestone, unknown repository, unknown repository address, Gottfried Iaeger gravestone. [S902] Joseph C. Audenried / Jane Audenried, Audenried Genealogy, pg 21. [S28] B. 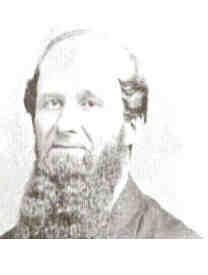 A. Stephens, A Biographical Sketch of L. J. F. Iaeger, pg 37. [S97] Census Film, 6125 Sand Point Way NE, Seattle, WA, King Co., NARA, pg 144. [S97] Census Film, 6125 Sand Point Way NE, Seattle, WA, King Co., NARA, pg 435. [S762] Letter, Neva Lee to Bill Blandin, 12 Sep 1997, 12 Sep 1997. [S242] Ancestry.com, online www.Ancestry.com, Butler Family Tree by sarahbbutler. [S264] CA Death Records, online http://userdb.rootsweb.com/ca/death/search.cgi, Madeline Iaeger Butler. [S64] Unknown name of person unknown record type, unknown repository, unknown repository address, Charles Evans Cemetery, Reading, Berks PA, picture taken by Justine Walter, 4/29/00. [S267] Marcia Simmons, "E-Mail Marcia Simmons," e-mail to Bill Blandin, 23 Oct 2000, 31 Oct 2005. [S279] Film, unknown repository address, Philadelphia, ED 252, pg 56, sht 6. [S280] Film, unknown repository address, Philadelpia, pg 204, sht 11, ED 280. [S279] Film, unknown repository address, Philadelphia, ED 252, pg 56, aht 6. [S42] Unknown short newspaper title, Nora S. Iaeger. Nora Sedena Iaeger (an unknown value). 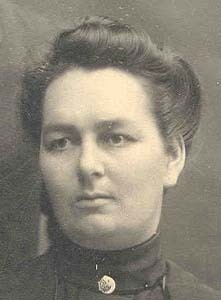 She was born on 27 November 1852 at Womelsdorf, Berks Co., PA.10,2,6,11,9 She was the daughter of Thomas Theophilus Iaeger and Mary A. Palsgrove.7,8,2,4,5,6,9,3 Nora Sedena Iaeger appeared on the census of 1 June 1860 at Reading, Berks Co., PA.9 She appeared on the census of 1 June 1870 at 7th Ward, Reading, Berks Co., PA.2 She appeared on the census of 1 June 1880 at Reading, Berks Co., PA.11 She lived in 1909 at Reading, Berks Co., PA.12 She appeared on the census of 15 April 1910 at Oley St., Reading, Berks Co., PA.3 She appeared on the census of 1 January 1920 at Oley St., Reading, Berks Co., PA.13 She was a member (an unknown value).14 She appeared on the census of 1 April 1930 at Reading, Berks Co., PA.15 She lived circa 1939 at 522 Oley St., Reading, Berks Co., PA.14,4 She died on 14 July 1939 at age 86.10,6 She was buried on 17 July 1939 at Charles Evans Cemetery, Reading, Berks Co., PA.16,1 She was (an unknown value). [S66] Unknown short title unknown file number (# 00644), Mary Audenreid Iaeger Codicil, 1885. [S64] Unknown name of person unknown record type, unknown repository, unknown repository address, Nora S. Iaeger. [S410] 1 Jan 1920 PA Berks Co. 1920 Census, unknown repository address, Ancestry.com, Ed 110. [S411] 1 Apr 1930 PA Berks Co 1930 Census, unknown repository address, Ancestry.com, Reading pg 234, ED 6-48, sht 22a. [S64] Unknown name of person unknown record type, unknown repository, unknown repository address, Nora. [S764] Janie Iaeger Adams, "Iaeger Janie E-mail," e-mail to Bill Blandin, 23 Apr 2004, 23 Apr 2004. [S974] Obits and Death Notice, online unknown url, Iaeger, Louis John Fredrick, Albuquerque Journal, NM, 1 Jul 1999. [S34] Interview, unknown informant, Bill Blandin, 14 Feb 2007. [S242] Ancestry.com, online www.Ancestry.com, NV Md index 1956-2005, 14 Feb 07. [S64] Unknown name of person unknown record type, unknown repository, unknown repository address, Lewis J F Iaeger by Bill Blandin, Jun 1999. [S203] Film, 6125 Sand Point Way NE, Seattle, WA, King Co., Reading, pg 1066, sht 28. [S756] Electronic, unknown repository address, Ancestry.com, Reading, sht 8, fam 56. [S315] LDS Census 1880, online, pg 82 b, Reading, PA.
[S1081] Electronic, unknown repository address, Ancestry.com, Reading, ED 95, Sht 1, pg 214. [S64] Unknown name of person unknown record type, unknown repository, unknown repository address, Sallie C. Iaeger, Charles Evans Cem., from Anne Wagner, 13 Apr 08. [S783] Electronic, unknown repository address, Census from HeritageQuest.com, pg 7B, ED 95, sht 7B. [S410] 1 Jan 1920 PA Berks Co. 1920 Census, unknown repository address, Ancestry.com, pg 147, ED 105, sht 2B. [S29] Morton L. Montgomery, History of Berks Co, PA, pg 1662. [S410] 1 Jan 1920 PA Berks Co. 1920 Census, unknown repository address, Ancestry.com. [S900] Electronic, unknown repository address, Ancestry.com, Reading, sht 30, ED 42. [S411] 1 Apr 1930 PA Berks Co 1930 Census, unknown repository address, Ancestry.com, ED 47 Sht 15A. [S410] 1 Jan 1920 PA Berks Co. 1920 Census, unknown repository address, Ancestry.com, pg 186, sht 4A, ED 85. [S411] 1 Apr 1930 PA Berks Co 1930 Census, unknown repository address, Ancestry.com, ED 63 Sht 1B. [S248] RootsWeb.com, online www.rootsweb.com, WorldConnect, Miller Bohn Simpson, John Miller. [S64] Unknown name of person unknown record type, unknown repository, unknown repository address, Samuel T. Iaeger, Charles Evans Cem., from Anne Wagner, 13 Apr 08. [S42] Unknown short newspaper title, Samuel T. Iaeger, Anne Wagner, 17 May 08. [S203] Film, 6125 Sand Point Way NE, Seattle, WA, King Co., Reading, pg 1066, sht 28, img 28/124. [S900] Electronic, unknown repository address, Ancestry.com, Reading, ED 42, sht 30, pg 82B. [S42] Unknown short newspaper title, from Anne Wagner, 14 May 08. [S1081] Electronic, unknown repository address, Ancestry.com, Reading, Ward 14, ED 95, Sht 1, pg 214, img 1/35. [S410] 1 Jan 1920 PA Berks Co. 1920 Census, unknown repository address, Ancestry.com, Reading, Ward 14, Precinct 1, pg 147B, ED 105, sht 2B. [S64] Unknown name of person unknown record type, unknown repository, unknown repository address, Lizzie C. Iaeger, Charles Evans Cem., from Anne Wagner, 13 Apr 08. [S64] Unknown name of person unknown record type, unknown repository, unknown repository address, Charles G. W. Iaeger, Charles Evans Cem., from Anne Wagner, 13 Apr 08. [S66] Unknown short title unknown file number (# 00644), Mary Audenreid Iaeger, 1889. [S1726] City Directory, Denver, CO 1888 pg 478. [S64] Unknown name of person unknown record type, unknown repository, unknown repository address, Thomas A. Iaeger. [S925] Electronic, unknown repository address, Ancestry.com, Sixteenth Ward, pg 276, sht 201. [S1895] Letter, Lewis J. F. Iaeger to Chonita M. Iaeger (sister), 26 Aug 1892, from Shawn. [S902] Joseph C. Audenried / Jane Audenried, Audenried Genealogy, pg 20. [S756] Electronic, unknown repository address, Ancestry.com, Reading, pg 110B, sht 68. [S34] Interview, unknown informant, Maye Iaeger. [S405] Electronic, unknown repository address, Ancestry.com, Maltby, Ed 89, pg 282, sht 1A. [S57] Unknown volume, unknown short title: Albert Blandin and Virginia Iaeger, Cert # 39057, Lic # 472, unknown repository. [S2] Unknown volume, Birth Certificate: Virginia Ann Iaeger, unknown repository. [S2] Unknown volume, Birth Certificate: Virginia Iaeger, unknown repository. [S405] Electronic, unknown repository address, Ancestry.com, Maltby Precinct. [S2] Unknown volume, Birth Certificate: Bruce Blandin, unknown repository. [S34] Interview, unknown informant, Bill Blandin, 24 Apr 2004. [S34] Interview, unknown informant, Bill Blandin, 20 Mar 2001. [S37] Unknown name of person, Death certificate. [S958] Find A Grave, online www.findagrave.com, Mem. # 57268291 Created by Polly Cox. [S64] Unknown name of person unknown record type, unknown repository, unknown repository address, William Lewis Iaeger, Charles Evans Cem., from Anne Wagner, 13 Apr 08. [S34] Interview, unknown informant, Anne Wagner, 17 Apr 08, From Cem record. [S410] 1 Jan 1920 PA Berks Co. 1920 Census, unknown repository address, Ancestry.com, Ed 123, Sht 13A. [S1081] Electronic, unknown repository address, Ancestry.com, Reading, ED 74, Sht 3b. [S64] Unknown name of person unknown record type, unknown repository, unknown repository address, William G. Iaeger, Charles Evans Cem., from Anne Wagner, 13 Apr 08. [S411] 1 Apr 1930 PA Berks Co 1930 Census, unknown repository address, Ancestry.com, ED 63 Sht 2A Pg 193. [S925] Electronic, unknown repository address, Ancestry.com, 16th Ward, pg 276, sht 201. [S132] Unknown name of person Gravestone, unknown repository, unknown repository address, William C. W. Iaeger gravestone. [S902] Joseph C. Audenried / Jane Audenried, Audenried Genealogy, pg 20 & 39. [S925] Electronic, unknown repository address, Ancestry.com, Sixteenth Ward, pg 276, aht 201. [S401] FamilySearch, online FamilySearch.com, Louise Roderfield Individual Record. [S1726] City Directory, Baltimore, MD 1878 pg 352. [S242] Ancestry.com, online www.Ancestry.com, Hist Newpapers, Obits, Wash. DC, 1851-2003, from Anne Wagner. [S926] Electronic, unknown repository address, Ancestry.com, 16th Ward, Baltimore, sht 10, ED 152. [S927] Electronic, unknown repository address, Ancestry.com, Ware District, pg 131b, ED 49, sht 8b. [S920] Electronic, unknown repository address, Ancestry.com, ED 58, Sht 10B, Ware District. [S242] Ancestry.com, online www.Ancestry.com, West Virginia Md Rec , 1863-1900. [S57] Unknown volume, unknown short title: Westminster, VT Vital Rec.1763-1829, pg 112, unknown repository. [S176] Unknown subject, Westminster West Congregational Church, Bk 2, pg 124, Church Records. [S233] Film, 6125 Sand Point Way NE, Seattle, WA, King Co., pg 252, with William (brother?). [S34] Interview, unknown informant, Bill Blandin, 15 Nov 2003. [S242] Ancestry.com, online www.Ancestry.com, One World Tree, 26 Jan 2006. [S315] LDS Census 1880, online, Dist 1, Chautauqua, Chautauqua Co., NY. [S242] Ancestry.com, online www.Ancestry.com, World Tree, 26 Jan 2006. [S294] Dscd Belle Wilbur Blanding, "Blanding Belle Wilbur Charts", From Mrs. Paul Turney, 3204 S. New York Ave., Milwaukee, WI 53207; 15 Jun 1982, Lineage Record. 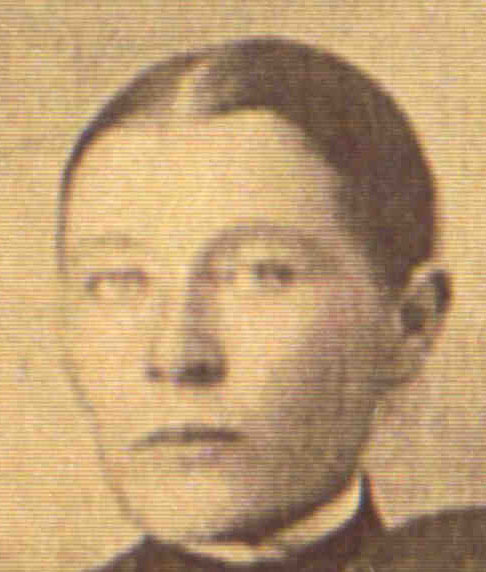 Persis Maria Ingalls was born on 25 July 1820 at NH.3,4 She was the daughter of Zimri Ingalls.1 Persis Maria Ingalls married Munsel Melandes Blanding, son of Otis Blanding and Abigail Burrus, on 24 December 1845.5,1,2 As of 24 December 1845,her married name was Blanding.5,1 Persis Maria Ingalls appeared on the census of 1 June 1850 at Fitzwilliam, Cheshire Co., NH.2 She appeared on the census of 1 June 1860 at Troy, Cheshire Co., NH.4 She appeared on the census of 1 June 1870 at Troy, Cheshire Co., NH.3 She died in March 1891 at age 70. [S809] Film, unknown repository address, NARA, Seattle, Fitzwilliam, Pg 181. [S475] Electronic, unknown repository address, ancestry.com, Troy Township. [S830] Film, unknown repository address, NARA, Seattle, Troy Township sht 36 Fam # 299. [S4] Leonard Clark Blanding, Genealogy of the Blanding Family, pg 82. [S809] Film, unknown repository address, NARA, Seattle, Fitzwilliam, Pg 190. [S4] Leonard Clark Blanding, Genealogy of the Blanding Family, pg 207. [S1557] Electronic, unknown repository address, Ancestry.com, La Harpe Township ED 15 pg 129 sht 1 fam 7. [S1630] Electronic, unknown repository address, Ancestry.com, La Harpe Township ED 34-18 sht 3b fam 69. [S544] Electronic, unknown repository address, HeritageQuest.com, pg 197 B. [S599] Electronic, unknown repository address, HeritageQuest.com, Pg 277. [S696] Electronic, unknown repository address, Ancestry.com, Sumter, ED 149, pg 100B. [S4] Leonard Clark Blanding, Genealogy of the Blanding Family, pg 127. [S888] Electronic, unknown repository address, Census from Ancestry.com, Columbia, ED 20, image 10/21. [S4] Leonard Clark Blanding, Genealogy of the Blanding Family, pg 172. [S890] Electronic, unknown repository address, Census from Ancestry.com, San Antonio, ED 83, image 74/87. [S725] Electronic, unknown repository address, Ancestry.com, Detroit ED 82-841 pg 216 sht 39. [S4] Leonard Clark Blanding, Genealogy of the Blanding Family, pg 189. [S676] Electronic, unknown repository address, Ancestry.com, Detriot ED 511 sht 18B. [S676] Electronic, unknown repository address, Ancestry.com, Detroit ED 511 sht 18B. [S4] Leonard Clark Blanding, Genealogy of the Blanding Family, pg 198. [S974] Obits and Death Notice, online unknown url, Blanding, George Frederick, The Roanoke Times, VA, 4 Oct 2002. Mons Olsen Inrenesdal+1,2 b. 17 Feb 1773, d. 1835? [S858] Mike Cain, 15 Nov 2004, Individual chart, 15 Oct 2005. ?? Jaeger died on 16 September 1798. He was born on 16 September 1798. He was the son of Carl Friderich Jäger * and Catharina Charlotta Commerell *. August Friderich Jaeger was born on 9 January 1807.1 He was born on 9 June 1807 at Kingdom of Wuerttemberg, (Now Germany). He was the son of Carl Friderich Jäger * and Catharina Charlotta Commerell *. August Friderich Jaeger died on 30 August 1807. Carl Christian Friderich Jaeger was also known as Charles Christian Fredericke Jaeger.1 He was born on 12 October 1783 at Kingdom of Wuerttemberg. He was the son of Carl Friderich Jäger * and Catharina Charlotta Commerell *. Carl Christian Friderich Jaeger died on 4 September 1787 at Kingdom of Wuerttemberg at age 3. Carl Friderich Jaeger was also known as Charles Frederick Jaeger.1 He was born on 16 February 1782 at Kingdom of Wuerttemberg. He was the son of Carl Friderich Jäger * and Catharina Charlotta Commerell *. Carl Friderich Jaeger died on 27 February 1782 at Kingdom of Wuerttemberg. F, b. 17 September 1803, d. 29 September 1803? Friderica Charlotta Jaeger was born on 17 September 1803 at Kingdom of Wuerttemberg, (Now Germany). She was the daughter of Carl Friderich Jäger * and Catharina Charlotta Commerell *. Friderica Charlotta Jaeger died on 29 September 1803? At Kingdom of Wuerttemberg, (Now Germany). Heinrica Ludiw(iga) Auguste Jaeger was born on 19 February 1795 at Kingdom of Wuerttemberg, (Now Germany). She was the daughter of Carl Friderich Jäger * and Catharina Charlotta Commerell *. Heinrica Ludiw(iga) Auguste Jaeger died on 21 May 1795. Rosana Juliana Jaeger was born on 2 March 1788 at Kingdom of Wuerttemberg. She was the daughter of Carl Friderich Jäger * and Catharina Charlotta Commerell *. Rosana Juliana Jaeger was confirmed in 1802. She (an unknown value) on 20 October 1814.1 She married Charles Fr. Hubbasser on 27 October 1814. 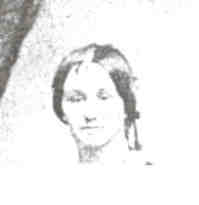 As of 27 October 1814,her married name was Hubbauer. Rosana Juliana Jaeger died in 1840 at Stuttgart, Kingdom of Wuettenberg, (now Germany). [S401] FamilySearch, online FamilySearch.com, IGI, Film 0278154. [S401] FamilySearch, online FamilySearch.com, IGI, Film 0278155. [S918] Garhard and Connie Jacobson, Jacobson Family, Page II-2. [S848] Eleanor Pederson, "Amundson FGS Pederson", 2 Nov 2004. [S859] Amundson Bible, From Gerhard Jacobson, 2000. [S734] Letter, Gerhard Jacobson to Bill Blandin, 8 Feb 2000, pg 4. [S401] FamilySearch, online FamilySearch.com, IGI, Film 0278155, md record. [S918] Garhard and Connie Jacobson, Jacobson Family, Page III-2. [S34] Interview, unknown informant, Effie Bye Taute. [S1396] Electronic, unknown repository address, Ancestry.com, Utica Township ED 282 sht 16 fam 113. [S1181] Electronic, unknown repository address, Ancestry.com, Utica Township sht 25 fam 176. [S648] Electronic, unknown repository address, Ancestry.com, Hermon, ED 130, image 2/31. [S733] Electronic, unknown repository address, Ancestry.com, Rossie, ED 85, image 10/15. [S974] Obits and Death Notice, online unknown url, Blandin, Hazel J., Watertown Daily Times, NY, 9 Dec 1992. [S1209] Electronic, unknown repository address, Ancestry.com, Westminster Township ED 262 sht 10b fam 249. [S1366] Electronic, unknown repository address, Ancestry.com, Westminster Township ED 263 sht 11b fam 171. [S1376] Electronic, unknown repository address, Ancestry.com, Westminster Township ED 128 pg 258 sht 12 fam 162. [S42] Unknown short newspaper title, Justin Holden, 14 Jan 1982. [S734] Letter, Gerhard Jacobson to Bill Blandin, 8 Feb 2000, pg 3. [S401] FamilySearch, online FamilySearch.com, IGI, Film 0278154, birth record. [S1548] Electronic, unknown repository address, Ancestry.com, Jamestown Township ED 245 pg 468 sht 7 fam 42. [S487] Electronic, unknown repository address, ancestry.com, Hornby Township sht 4 fam 31. [S898] Heritage Quest, online HeritageQuest.com, Books, "Descendants of Samuel & Ann Bass", by Bass, Charissa Taylor, 1940, pg 34. [S898] Heritage Quest, online HeritageQuest.com, Books, "Descendants of Samuel & Ann Bass", by Bass, Charissa Taylor, 1940. [S1144] Electronic, unknown repository address, Ancestry.com, Hornby Township, sht 4B ED 114. [S1126] Electronic, unknown repository address, Ancestry.com, Hornby Township, pg 195, ED 52-44, sht 1. [S1144] Electronic, unknown repository address, Ancestry.com, Hornby Township, ED 114, sht 6B. [S1144] Electronic, unknown repository address, Ancestry.com, Hornby Township, pg 270, ED 114, sht 7. [S1143] Electronic, unknown repository address, Ancestry.com, Hornby Township, pg 35B ED 132. [S1126] Electronic, unknown repository address, Ancestry.com, Hornby Township, sht 3B ED 51-44. [S392] Victor Blandin, 5 Jun 1985, Ahnentafel Chart, 5 Jun 1985, JOHN I838. [S392] Victor Blandin, 5 Jun 1985, Ahnentafel Chart, 5 Jun 1985, JOHNJ816. [S392] Victor Blandin, 5 Jun 1985, Ahnentafel Chart, 5 Jun 1985, BLANJ832. [S392] Victor Blandin, 5 Jun 1985, Ahnentafel Chart, 5 Jun 1985, BLANJ862. [S484] Electronic, unknown repository address, ancestry.com, Selma sht 26 fam 204. [S261] Interview, Ada Mae Mothershead, 1964. [S775] Unknown author, Johnson Lulu Notes, (Lulu Johnson McHargue, translator): Maybe from family Bible. [S3] Gerald Garth Johnson, Ancestors and Descendants of Ira Johnson and Abigail (Furbush) Johnson, pg 68. [S200] Film, 6125 Sand Point Way NE, Seattle, WA, King Co., ED 207, sht 4. [S405] Electronic, unknown repository address, Ancestry.com, Edmonds, Ed 19, pg 122B, sht 6B, enum. 7 Apr 1930. [S121] Film, 6125 Sand Point Way NE, Seattle, WA, King Co., pg 124A. [S110] Unknown record type, 6125 Sand Point Way NE, Seattle, WA, King Co., Pg. 45. [S257] Unknown short title, online www.ngb.dtic.mil/ngbgomo/history/bio/blanding_ah.htm, Charles S. IAEGER's Pension records. [S34] Interview, unknown informant, Hazel. [S89] 1910 Film, 6125 Sand Point Way NE, Seattle, WA, King Co., ED 266, pa 127. [S69] Unknown short newspaper title. [S1930] Electronic, unknown repository address, FamilySearch.org, Portland imgage 8/26 ED 37-78 Sht 4b. [S42] Unknown short newspaper title, Ada Mae Mothershead. [S117] Unknown name of person, OR Death Records, Sweat Home Library Cert. # 1838. [S3] Gerald Garth Johnson, Ancestors and Descendants of Ira Johnson and Abigail (Furbush) Johnson, pg 592. [S1892] Electronic, unknown repository address, Ancestry.com, Edwards pg 160. [S1891] Electronic, unknown repository address, Ancestry.com, Edwards, pg 12. [S973] Unknown author, "Nelson FGS", From Eldon Knudson, 7 Aug 2006. [S490] Electronic, unknown repository address, ancestry.com, Rutland. [S491] Electronic, unknown repository address, ancestry.com, Rutland. [S1287] Electronic, unknown repository address, Ancestry.com, Groveland pg 697 sht 77. [S523] Electronic, unknown repository address, HeritageQuest.com, Groveland Township, pg 12, Fremont (son). [S175] Unknown agency, Vermont Hist. Gazetteer, Vol 5, pg 390. [S242] Ancestry.com, online www.Ancestry.com, Johnson, Cooper, Blair Connections, 20 Feb 07. Elmer B. C. Johnson married May D. Edwards 16 JUN 07 at Ft. Collins, CO. Elmer B. C. Johnson was born on 3 November 1883 at Adair Co., IA. He died in May 1973 at Greeley, CO, at age 89. 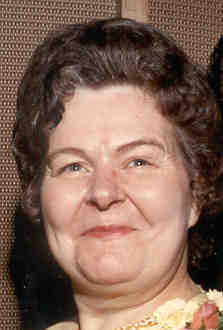 May D. Edwards b. 27 Jan 1885, d. 12 FEB 82 ? [S34] Interview, unknown informant, DaV Johnson, 28 Jul 2006. [S554] Electronic, unknown repository address, HeritageQuest.com, Deville Township, ED 143, dwe 215. [S1218] Electronic, unknown repository address, Ancestry.com, Filmore Township, ED 234, sht 18B. [S1219] Electronic, unknown repository address, Ancestry.com, Fillmore Township, pg 231, ED 44, sht 13. [S1220] Electronic, unknown repository address, Ancestry.com, Crosby, pg 211, ED 12-10, sht 9. [S3] Gerald Garth Johnson, Ancestors and Descendants of Ira Johnson and Abigail (Furbush) Johnson, pg 54 & 58. [S3] Gerald Garth Johnson, Ancestors and Descendants of Ira Johnson and Abigail (Furbush) Johnson, pg 58. [S1889] Gerald Garth Johnson & William A. Blandin, Johnson, Ira Desc., pg 101. [S253] Book, 8511 15th Ave NE, Seattle, WA, pg 85B. [S376] Electronic, unknown repository address, Ancestry.com, pg 448B. [S377] Electronic, unknown repository address, Ancestry.com, pg 31B. [S120] Interview, Gerry Johnson, 14 Apr 1999, E-mail, 6/18/02. [S3] Gerald Garth Johnson, Ancestors and Descendants of Ira Johnson and Abigail (Furbush) Johnson, pg 67. [S37] Unknown name of person, Death certificate, William W. Johnson, Reg # 1222, State of Oregon. [S3] Gerald Garth Johnson, Ancestors and Descendants of Ira Johnson and Abigail (Furbush) Johnson, pg 69. [S3] Gerald Garth Johnson, Ancestors and Descendants of Ira Johnson and Abigail (Furbush) Johnson, pg 47. [S5] Paul Franklin Johnson and Ada Johnson Modern Frank Leonard Johnson, Johnson, Capt. John, pg 6. [S30] Unknown author, "The Heath Connection", July 1992, pg 275. [S287] Gerald Garth Johnson, Bio of Capt. John Johnson, Pg 103. [S1889] Gerald Garth Johnson & William A. Blandin, Johnson, Ira Desc., pg 66. [S5] Paul Franklin Johnson and Ada Johnson Modern Frank Leonard Johnson, Johnson, Capt. John, pg 2 & 6. [S30] Unknown author, "The Heath Connection", pg 275. [S43] Gary Boyd Roberts, Ancestors of American Presidents. [S287] Gerald Garth Johnson, Bio of Capt. John Johnson, Pg 103 & 55. [S21] Edward Joy Paul, The Ancestory of Katharine Choate Paul, pg 205. [S21] Edward Joy Paul, The Ancestory of Katharine Choate Paul, pg 206. [S1889] Gerald Garth Johnson & William A. Blandin, Johnson, Ira Desc., pg 67. [S5] Paul Franklin Johnson and Ada Johnson Modern Frank Leonard Johnson, Johnson, Capt. John, pg 11. [S5] Paul Franklin Johnson and Ada Johnson Modern Frank Leonard Johnson, Johnson, Capt. John, pg 6 & 12. [S753] Lisa Sorensen, 2005 update, download 28 Nov 2005, from The Ancestry of eva Kempton (NEHGS 1966, pg 231) by Dean Crawford Smith. [S1889] Gerald Garth Johnson & William A. Blandin, Johnson, Ira Desc., pg 65. [S21] Edward Joy Paul, The Ancestory of Katharine Choate Paul, pg 207. [S5] Paul Franklin Johnson and Ada Johnson Modern Frank Leonard Johnson, Johnson, Capt. John, Pg 37 & 74. [S1723] Unknown subject electronic, by unknown photographer, Rev War Service Rec. for Ira Johnson pg 5. [S312] US Gen Web, online USGenweb.com, Saratogo Co., NY page, Saratoga National Park, participants in the battle of Saratoga. [S5] Paul Franklin Johnson and Ada Johnson Modern Frank Leonard Johnson, Johnson, Capt. John, pg 37. [S1723] Unknown subject electronic, by unknown photographer, Rev War Service Rec. for Ira Johnson pg 2. [S1723] Unknown subject electronic, by unknown photographer, Rev War Service Rec. for Ira Johnson pg 4. [S1894] Electronic, unknown repository address, Ancestry.com, Stillwater. [S3] Gerald Garth Johnson, Ancestors and Descendants of Ira Johnson and Abigail (Furbush) Johnson, pg 46. [S5] Paul Franklin Johnson and Ada Johnson Modern Frank Leonard Johnson, Johnson, Capt. John, pg 1. [S30] Unknown author, "The Heath Connection", Pg 270. [S43] Gary Boyd Roberts, Ancestors of American Presidents, Franklin Pierce, pg 47. [S287] Gerald Garth Johnson, Bio of Capt. John Johnson, Pg 99. [S30] Unknown author, "The Heath Connection", July 1992, pg 274. [S14] NEHGS, "Ancestry of Agnes (Cheney) Heath", pg 174, footnote # 8. [S30] Unknown author, "The Heath Connection", July 1992, pg 268 & 274. [S287] Gerald Garth Johnson, Bio of Capt. John Johnson, Pg 47 & 53. [S5] Paul Franklin Johnson and Ada Johnson Modern Frank Leonard Johnson, Johnson, Capt. John, pg 2. [S287] Gerald Garth Johnson, Bio of Capt. John Johnson, Pg 101. [S1722] Charles Edward Banks, Winthrop Fleet, pg 77. [S3] Gerald Garth Johnson, Ancestors and Descendants of Ira Johnson and Abigail (Furbush) Johnson, pg 45. [S3] Gerald Garth Johnson, Ancestors and Descendants of Ira Johnson and Abigail (Furbush) Johnson, pg 1. [S287] Gerald Garth Johnson, Bio of Capt. John Johnson, pg. 31. [S3] Gerald Garth Johnson, Ancestors and Descendants of Ira Johnson and Abigail (Furbush) Johnson, Pg 2 & 46. [S3] Gerald Garth Johnson, Ancestors and Descendants of Ira Johnson and Abigail (Furbush) Johnson, pg 2. [S1889] Gerald Garth Johnson & William A. Blandin, Johnson, Ira Desc., pg 68. [S287] Gerald Garth Johnson, Bio of Capt. John Johnson, Pg 102. [S1889] Gerald Garth Johnson & William A. Blandin, Johnson, Ira Desc., pg 69. [S287] Gerald Garth Johnson, Bio of Capt. John Johnson, Pg 104. [S3] Gerald Garth Johnson, Ancestors and Descendants of Ira Johnson and Abigail (Furbush) Johnson, pg 51. [S5] Paul Franklin Johnson and Ada Johnson Modern Frank Leonard Johnson, Johnson, Capt. John, pg 19 & 37. [S1889] Gerald Garth Johnson & William A. Blandin, Johnson, Ira Desc., pg 64. [S33] Unknown subject, Mass. Sailors & Soldiers of The Revolutionary War, Ref 3 pg 52. 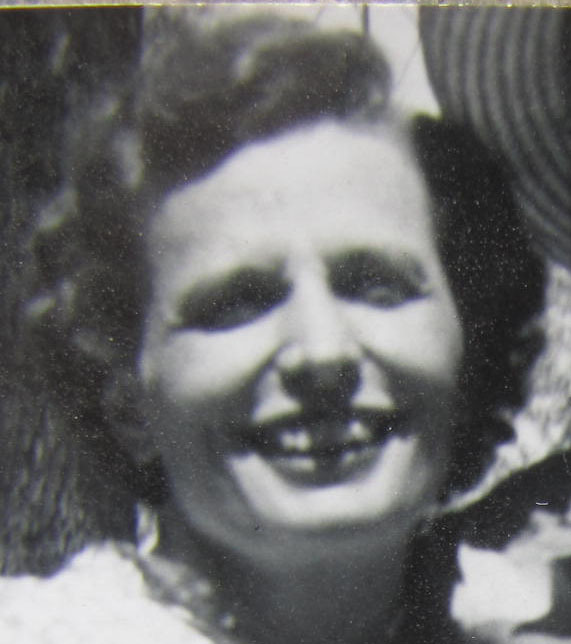 Mother May D. Edwards b. 27 Jan 1885, d. 12 FEB 82 ? [S53] Letter, unknown author to unknown recipient, Owen and Lorene. [S958] Find A Grave, online www.findagrave.com, Mem. # 39269669.